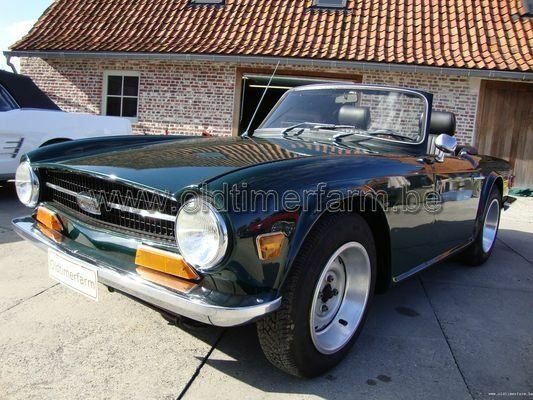 (from Wikipedia, the free encyclopedia) The Triumph TR6 (1969–76) was a British six-cylinder sports car and the best-seller of the TR range built by Triumph when production ended in July 1976. This record was then surpassed by the TR7. 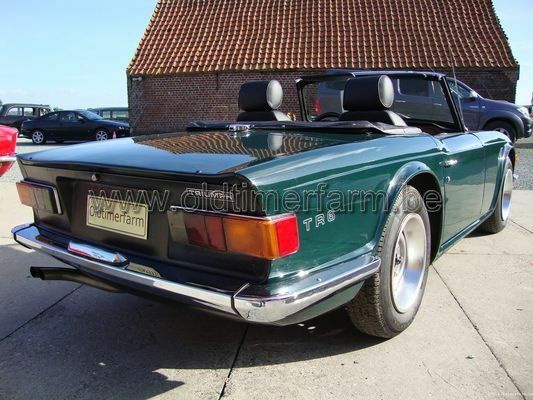 94,619 TR6s were built, of which 86,249 found homes overseas, only 8,370 being sold in the UK. The bodywork closely resembled that of the previous model, but the front and back ends were squared off, reportedly based on a consultancy contract involving Karmann. Characteristics. Body : length/width/ height/ wheelbase –cm (in) : 404/147/127/224 (159/58/50/88.2); weight : 1120 kg (2472 lbs). Engine : 6-cylinders 2498 cc, front-mounted, 4-speed, manual, rear-wheel drive. Power : 125 bhp @ 5000 rpm. Top speed : 192 km/h (119 mph).